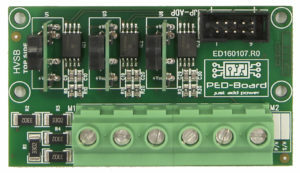 Stiff or flexible connection using PMOD or IDC connectors. When used with the GIAB-V1 and the PED-Board default configuration, the resulting voltage LSB is 0.38V. 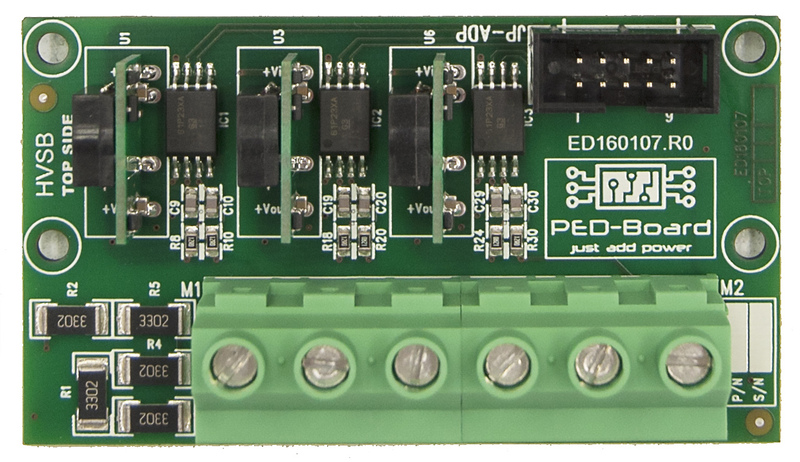 Accuracy can be increased by replacing the PED-Board input circuit scaling resistors. 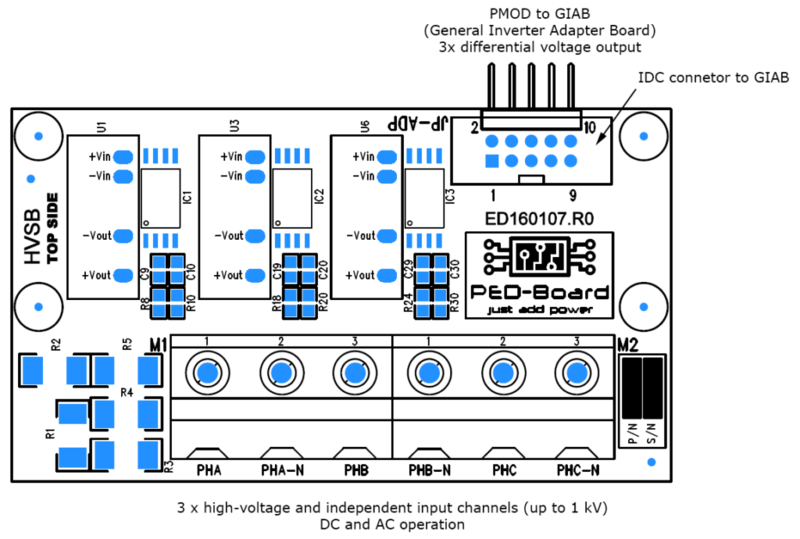 Refer to the PED-Board Hardware and User Manual for detailed information.